FIME 2015 At A Glance! 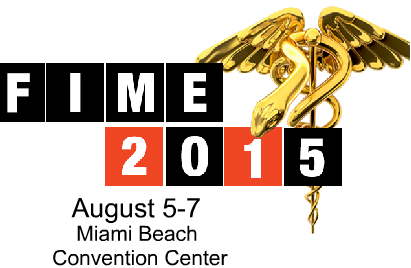 The FIME 2015 conference is being held on August 5-7, 2015 in Miami Beach, Florida. FIME’s educational conference is a three day, seven track seminar forum for medical professionals. The diverse tracks represent the most comprehensive educational opportunity for medical professionals this year. This year’s event marks the 25th anniversary of FIME. FIME is also the biggest international medical event held in the United States. 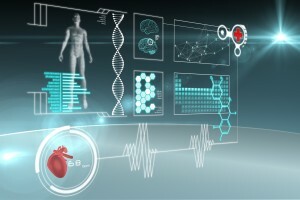 More than 10 thousand people are expected to attend and fill up the five hundred thousand square foot Miami Beach Convention Center in Miami, Florida, all to see the latest technologies in the medical field. FIME International Medical Expo is the absolute best trade show there is to visit for disposable medical products, surgical supplies, operating room equipments, autoclaves, sterilizers, pharmaceutical products, ophthalmology equipment and more. This trade show generally has a huge attendance not only from the United States, but also from places all over the world like the Asia Pacific, Middle East and European Union. People from all over want to be a part of this huge event. Need a Quote on a Monitor Rental for your next convention? Rentacomputer has all the latest in monitor and display rental technology! Even though the attendees are generally people in the super high end, high tech medical field, they make sure to keep things lively and entertaining with things like the Fime Fiesta, which is a huge celebration where everyone can let loose and just have fun. There is also a showground where you can see the launches of new and innovative machines and technologies. This event is full of professionals and researchers that come to exchange their medical knowledge and get all of the products they need at really, really low rates. *Rentacomputer.com is not affiliated with or in any way authorized by FIME 2015. Rentacomputer.com is an independent nationwide technology rental provider and this information in no way implies affiliation to the event or venue described above. This entry was posted in Convention Center Events, Convention News, conventions, event news and tagged conference, Convention, FIME, FIME 2015, Florida, Miami, Miami Beach Convention Center, Trade Show. Bookmark the permalink.